You just finish the job. It’s raining outside. Especially not the desire nor the strength to get out. All you want is to make you a good drink while watching TV. The only solution is to use home delivery shopping or dining. I’ll give you the path of the delivery sites of provision in Shanghai! Most supermarkets are equipped with home delivery services, but few speak English and deliver the expat food. What are the supermarkets that are specialized in high-end imports. There are not that many of this offering import products at affordable prices. 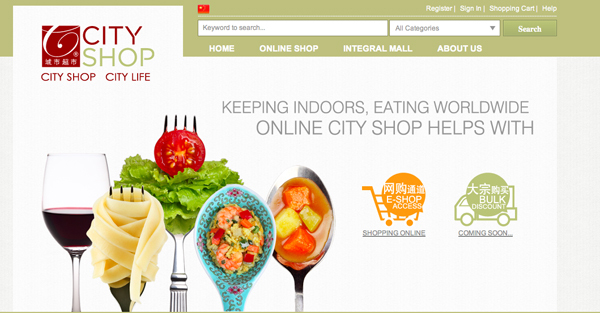 CityShop is recognized as LA’s most attractive foreign groceries and most convenient chain in Shanghai. The system of home delivery is very good, the site is in English and it’s easy to order online. For purchases of 200RMB or more, shipping is free (within Shanghai, excluding Chongqing) and you are delivered within 24 hours. The only downside is the price of products, which can be 4times higher than other supermarkets. Carrefour also has a delivery service at home and shop online. Prices are cheaper than those of City Shop, but the site is a bit harder to use. The advantage is that Carrefour is also well stocked with Chinese goods and you have more choices of non-food items. Delivery is free for orders of 100 RMB or more and will be delivered within two days. Epermarket the new entrant who is set to be a serious opponent CityShop and Carrefour. Firstly because it is a true online supermarket for imported products with functional and easy to use for the average expat site. He became popular with the French public (see here) It is a perfect summary of what is best in terms of product selection with a wide selection of wine and French cheeses, organic vegetables and fruits through the beef Australian. You can order 7/7 and 24/24 and the delivery is done in the day or the next day. 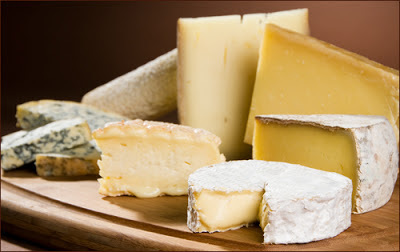 One can also enjoy the site which included many special operations (Feast of cheese etc) with discounts. The little extra. I love the quick buy services that can make a real e-cart quickly! Feidian is relatively new on the scene, but is fast becoming one of the favorite stores amateur appetizers (mostly because it’s the only store that sells a big bag of tortilla chips for only 20 RMB !. With only 5 shops in Shanghai, they do not have much choice as City Shop and Carrefour, but they compensate with free shipping service in less than three hours (for orders made ​​before 18 hours and more than 100 RMB.) In an attempt differentiation, they also offer beer and cheese imported at prices below those of City Shop price. FIELDS is your finest Online Grocery Store in China that delivers safe, delicious, high quality and imported groceries directly to your door. We’ve been trusted by the expat community for 5 years now. We provide a wide range of products including Vegetables, Fruit, Meat & Seafood, Dairy, Baked goods, Beverages, Beer & Wine, Organic produce, Baby & Personal Care products, and Ready-to-Serve items. New customers will even receive a special gift with their first order! Thanks to our iPhone and iPad App, you can do your shopping anywhere & at anytime! Abendbrot have found their niche in the cooking and delivery of German bread. Elders have long been specialized in Australian imports, including beef AAA quality.